Turn your house into a nightclub with the MHC-V41D. 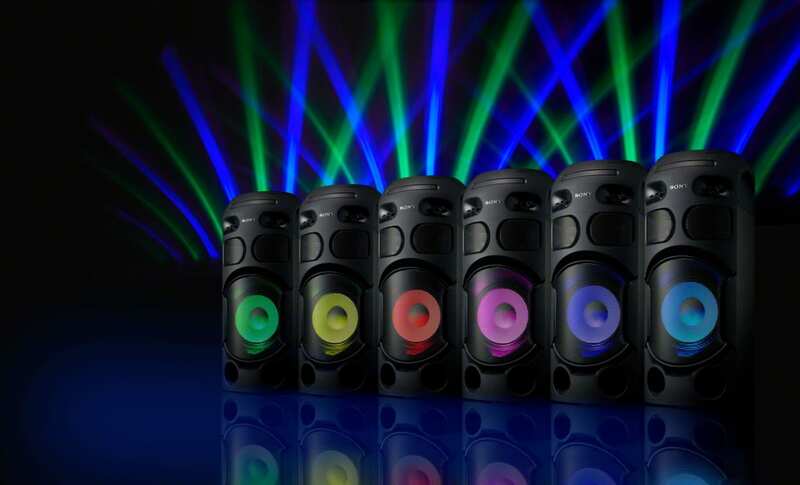 Speaker lights sync to the beat for real club atmosphere, while sound fills the party for a night you'll never forget. Keep everyone entertained — with two mic inputs you and your guests can go head-to-head singing along to your favourite tunes. Add a rock and roll layer by alternatively connecting a guitar to one of the inputs and using the system as a guitar amp. Enjoy three modes — Clean for a clear sound, Overdrive for a distorted guitar sound and Bass for your bass guitar. The Sony | Music Center app lets you control music and sound settings right from your phone. The Fiestable plugin lets you activate DJ and karaoke modes. Make changes with a flick of your wrist thanks to intuitive motion control.